With Blue Smart you can stay connected! 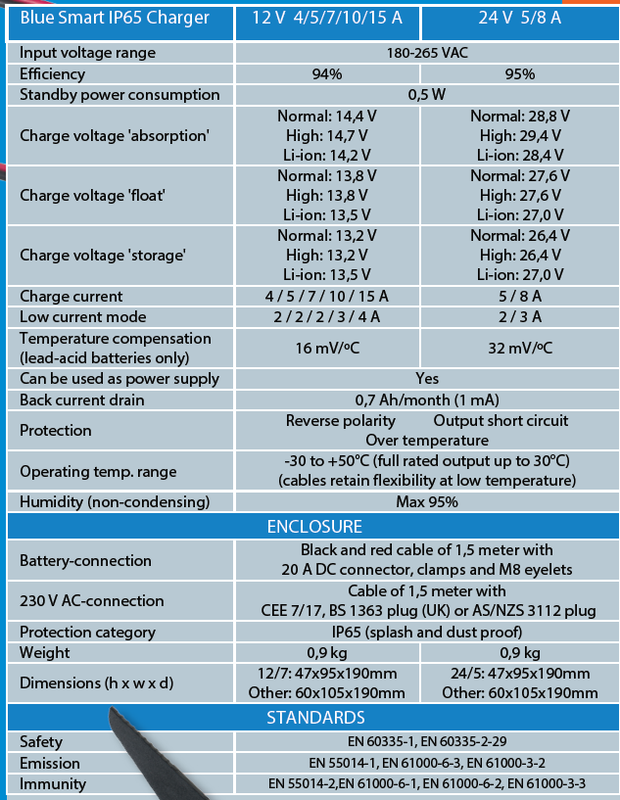 Blue Smart IP65 Charger range, with Bluetooth connectivity and control via the VictronConnect app. If its got a battery, be Blue Smart and get connected! Now you can look after your car, motorcycle, boat, jet ski, or any other application you have in style, but of course it doesn t stop there. 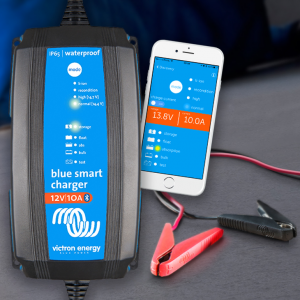 Blue Smart is great for your workshop, motor home, caravan, any wheeled vehicle, in fact, anywhere you have a battery that needs tender loving care, all controlled directly from your Smartphone, tablet or computer using the VictronConnect app. 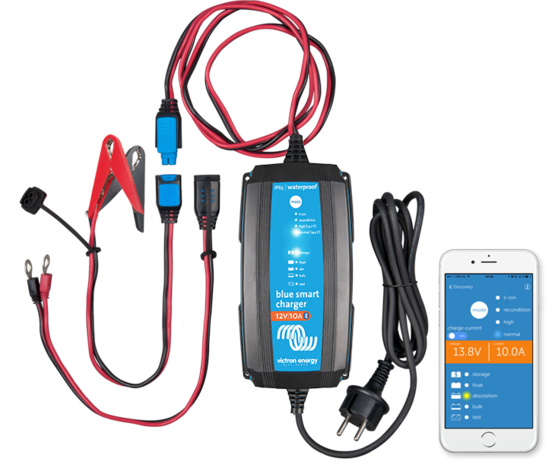 Your car or camper, boat or bike might only be on the other side of the wall, but don t worry, don’t get up, just sit on your comfy couch or chair and look after your battery via VictronConnect! Images shown are for representation purposes only. Mobile phone not included with product.